From the tiny village of Le Mesnil comes Salon – first made in 1911 by Eugene-Aime Salon. This was the 'house' Champagne at the legendary Paris restaurant 'Maxim's' in the 1920s, and has always been made from 100% Chardonnay. Only about 4,000 cases of Salon are made in the best vintages only - when the vintage is not good enough, no wine is made. 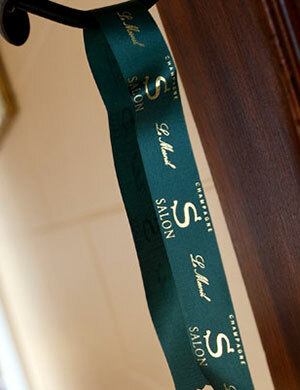 Only 32 vintages of Salon have been made since the house was founded in 1921. The wines generally take a long time to show their best - 15 to 20 years is perfectly normal, and the 1979 & 1971 tasted recently have both been phenomenal. Now owned by Laurent Perrier, quality continues to shine here, and the estate can happily be mentioned in the same breath as Krug.